The foreign policies of the UK’s main political parties have been discussed in a debate hosted by the Centre for International Policy Studies at City University London, ahead of the 2015 General Election. Academics from the Department of International Politics offered insights on a variety of critical topics, including European Union membership, military interventions, the UK’s financial sector and British nationalist parties. Click here to watch a video of the discussion. 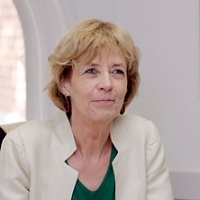 Professor Rosemary Hollis discussed the development of a “less visible, less influential UK” in the global context, adding this was especially apparent during the last three years of the Conservative-Lib Dem coalition. She argued that “any imaginable coalition” following the election would lead to a focus on “internal squabbling” and create greater international uncertainty about Britain’s interest in external matters. Professor Hollis said that one recent media report had claimed China now saw Britain as “quaint, broke and irrelevant”, adding that the UK “makes no mark on Chinese thinking by itself”. The academic explained the country was already “curiously disengaged” and uncertainty within the UK about its future European Union membership could affect negotiations with Russia. European unity is going to more persuasive than European disunity. But the rest of Europe is not quite sure whether the UK is with them or not. Traditional friends in Europe, such as Germany, are now “no longer prepared to do anything to keep the British in”, while less involvement in European affairs means the UK “increasingly won’t be missed if it decides to leave the EU”. India, according to Professor Hollis, is now “much more likely” to go to Brussels or Washington on an issue than to the UK, while the US prefers to visit France or Germany to address global issues. She argued that if the Conservatives lead the next government, their focus will be “narrow and divisive” ahead of their promised EU referendum in 2017 and Labour’s “semi-parked” stance on the issue and lack of a broader vision for foreign policy will not help uncertainty over Britain’s overseas role. Professor Hollis added that in the likely event of a coalition involving multiple parties – perhaps from Scotland, Wales and Northern Ireland – political discussions would focus on the interests of individual nations within the UK and “derail” deficit reduction plans. In conclusion, she stressed that such a coalition could end Britain’s ability to “punch above its weight internationally”, but without the public choosing this move. “It spells, in other words, a very big change in UK status and direction internationally,” she said, predicting that in the next election, increasing nationalism might give some citizens “a very nasty wake up” if Britain’s diminished role on the global scene becomes a more visible concern. Professor Inderjeet Parmar argued that the traditional structure of British politics means the country will continue to try to influence international affairs. A “broad consensus” on the key foreign policy issues, he believes, is the result of governments continuing to push the agendas of a minority within the country. “Far from withdrawing from the world and isolating itself, in the long run and continuing into the future, I would argue that Britain is going to remain a country that sees the world as a place in which it has a very important role financially, as well as to some extent militarily,” he said. It’s going to continue to attempt to punch above its weight. And I would argue that is an issue and a problem. He claimed that “staggeringly high” wealth inequality in Britain and the decline of working class representation in the Labour Party have contributed to an over-representation of politicians educated in public schools and the top universities in the country. 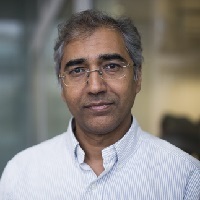 According to Professor Parmar, politics had lost its ability to be a source of social mobility, with the route through trade unions into the Commons now “cut off”. In recent decades, he said Labour had switched to “courting the City and business” and was less focused on working people. The academic explained inequality was still a big issue in the UK, with billions of pounds added to the wealth of the richest in recent years and “large amounts removed from the pockets” of others. “Before we look at the politics of foreign policy, you have got to look at the character of inequality in the society, which bleeds into politics in general and into the state and therefore has a very big effect on what is basically, between the two main parties, a broad consensus on foreign policy,” he said. Professor Parmar claimed very little has changed in the UK’s foreign policy approach since the 1940s and the country was still “one of the most interventionist powers” in the world. He believes the country still has a “very strong relationship” with the US and is “ready to intervene”. Professor Parmar suggested the recent economic crisis had “tempered” the UK’s approach to international relations but this was a “tactical issue” and not an “issue of principle”. Dr Robert Davies began the debate with a warning that businesses may not be prepared for potentially radical changes in international political and economic trends, pointing to a “subliminal assumption” that the world is increasingly democratic with “sensibly controlled capitalism”. How robust is the assumption that a liberal democratic order will continue? Are we just one catalytic event away from a seismic shift in Europe that the fog of the past and the fog of the present are stopping us all from seeing? Dr Davies explained that the nationalism and political fragmentation seen in the UK, with smaller parties gaining popularity, was occurring in many countries across Europe. 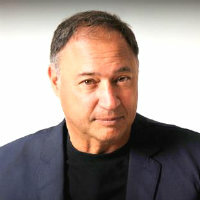 He argued that three of a so-called “toxic five” issues were currently being observed across the continent – malfunctioning economics, social division and foreign involvement. “What should we make of all this? he asked. "A series of unrelated, disparate problems, or a warning that something deeper is afoot?" The academic warned that the presence of two other factors, institutional decay and history of earlier collapse, could contribute to a “redefinition or even collapse” within democratic societies. "Just relying on one familiar scenario and a popular assumption may leave business organisations dangerously exposed," he said. Professor Ronen Palan discussed the relationship between the financial sector in the City of London and UK political parties. He explained the City produces 10 percent of GDP and considers the rest of the UK the “hinterland” which, before 2015, consistently voted in a government that was “compliant” with the needs of its businesses. However, he said the current election has caused a dilemma for the City as all parties have created policies that have produced uncertainty about the future trading environment. Professor Palan argued the Tory promise of an EU referendum has caused “serious danger” of instability within the City, with HSBC and potentially other banks considering whether to keep their headquarters in the country – a move that could be “very, very painful” for the economy. London has become the “financial centre of the EU”, with funds coming from Europe into institutions that are “mostly unregulated” by the government. It’s very important for the City of London to be part of Europe but not part of the regulatory environment of Europe. However, Labour is also causing concern among wealthy individuals because of Ed Miliband’s stance on tax avoidance. Professor Palan believes there are signs that the Labour leader is “serious” about tackling the issue, compared with the “first-class actors” from the Conservatives, who claim to be cracking down on businesses and individuals who find loop holes in the system. As evidence, the academic pointed to a recent announcement by Miliband on a plan to prevent the misuse of capital gains tax. Professor Palan says under the current system, some individuals “benefit enormously” from setting up company structures that mean they avoid high income tax payments by earning money as capital gains. "The City of London is in trouble," he said. "There’s a government here that is not going to be compliant and they don’t know what to do." Also on the panel was Stuart Hooper, a general election candidate who is currently studying for an International Politics MA at City. Stuart, who is standing in the South Basildon and East Thurrock constituency, Essex, is an independent candidate who is proposing anti-austerity policies.He explained he had used crowd funding websites to raise £900 to support his campaign. The student’s proposals include ending university tuition fees, rebuilding Britain’s industry, ending overseas military intervention, introducing an £8 minimum wage and strengthening the NHS. Funding for his ideas would come from a 1 per cent tax on transactions by large businesses in the City of London and using the Bank of England to bail out public finances. The debate was chaired by Dr Amnon Aran and took place on Thursday 30th April, 2015. What are the big foreign policy issues facing the UK?